The value of the sports nutrition market is set to grow by around 8% per year to reach over US$17 billion globally in 2021, according to Innova Market Insights’ forecasts. The mainstreaming of the market has led to a surge in interest in plant-based alternatives with the traditional dominance of whey and other dairy proteins now being challenged. 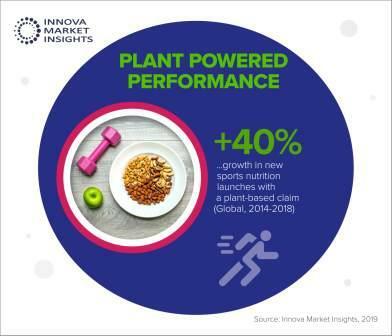 Vegan-friendly positionings were used for 6% of global food and beverage launches recorded by Innova Market Insights in 2018, however, this rises to 14% for sports nutrition. RTD sports drinks have an even higher level of prevalence for these positionings at 18%. Some of the fastest-growing plant-based proteins include soy protein isolate, pea protein, and rice protein. Moving beyond the protein arena there is also increasing use of other plant-based ingredients in sports nutrition NPD. This is led by nuts and seeds, many of which already carry an inherently healthy and nutritious image. In Europe, for example, sports nutrition launches with nuts and seeds had a CAGR of 23% over the 2014 to 2018 period, with 2018 activity led by almonds, peanuts, and sunflower seeds. More specialist vegan sports nutrition ranges are starting to appear, while more mainstream companies and brands are greening up their portfolios to attract those increasingly wanting to add more plant-based options to their diets. As demand for sports nutrition products continues to soar globally, the market has become increasingly mainstream. The concept of active nutrition is developing more widely as interest spreads beyond the traditional core base of bodybuilders, endurance athletes and highlevel sportsmen. The focus is increasingly shifting towards everyday health and fitness as a lifestyle choice. Innova Market Insights data also indicates that global launch activity in sports nutrition has risen particularly strongly over the past three years, reflecting this broadening out of appeal. In general, the sports nutrition sector continues to develop and diversify, particularly in terms of target market, with an increasingly wide range of consumers now in its sights, including those interested in different sports, exercise regimes and levels of activity. Growing consumer interest in health, sustainability, and ethics have made plantderived ingredients and products more popular in sports nutrition in line with the food and drinks market as a whole. 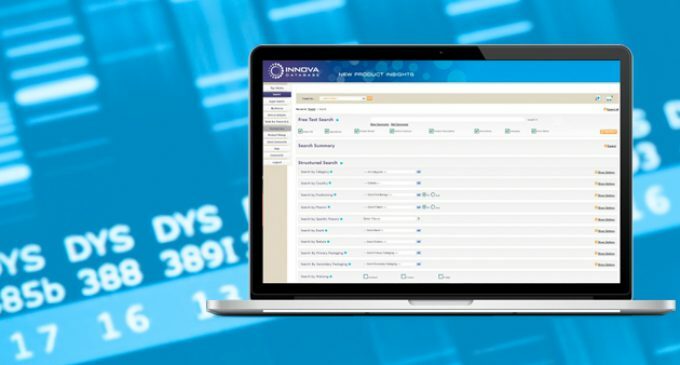 For more information about Innova Market Insights, visit: www.innovamarketinsights.com.